What’s not to love about a spacious ranch-style home? While our award-winning Vineyard home has been a fan-favorite for years, it still feels as new and fresh as ever. With three architectural elevations to choose from, in addition to the thousands of design options available in our Design Studio, this home is truly special. The open great room, kitchen area and dining nook is perfect for entertaining and everyday living all the same. A multitude of fireplace styles and treatments give the great room a unique focal point. Treat yourself to the optional (and super popular) built-in window seats at the light-filled nook for a cozy dining space right off the kitchen. Stainless steel Whirlpool appliances, solid stone countertops and maple cabinetry make the kitchen feel chef-worthy. A spacious master suite is privately tucked away at the rear of the home, with a five-piece bath and oversized closet that will make any owner feel pampered. The flex room can serve as a study, dining room or third main-level bedroom. 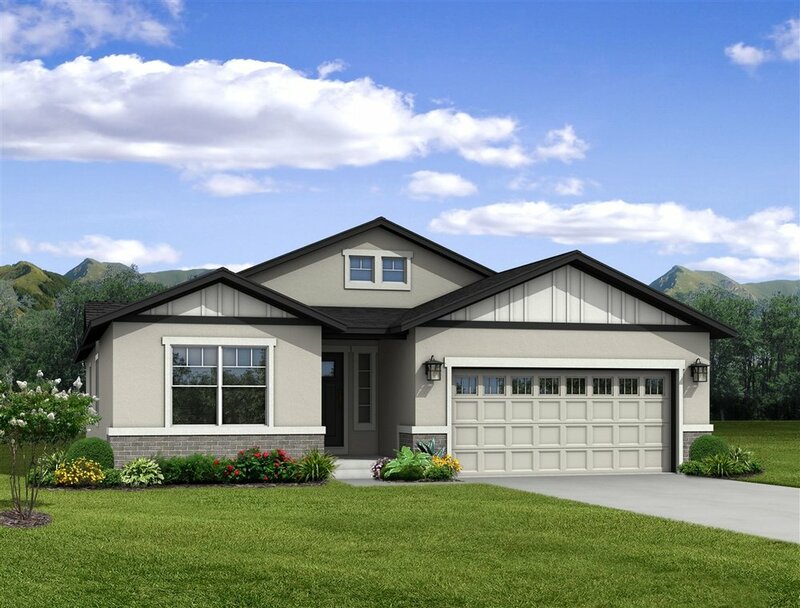 The finished lower level (included with every ranch home) provides a comfortable recreation room, two additional bedrooms and bathroom. Build in a wet bar, select high-tech wiring with our trusted vendors for an entertainment center, or create a space for exercise - there’s plenty of room to make this a smart area for any family. Want to learn more about the Vineyard in Cordera or Cumbre Vista? View more photos and check out our interactive floor plan here.